Happiness, resilience, connection, and kindness: these aren't just central qualities of a well-lived life, but "skills that can be taught and developed over time—with practice," according to UC Berkeley's Greater Good Science Center (GGSC). Now GGSC has made learning these skills easier with Greater Good in Action, a guide that catalogues dozens of "research-based methods for a happier, more meaningful life." Each practice includes detailed instructions, explanations of the science involved, links to relevant research studies, plus quizzes, pointers and more. "The practices in Greater Good in Action are for anyone who wants to improve his or her social and emotional well-being, or the well-being of others, but doesn't necessarily have the time or money to invest in a formal program," the guide's authors write. "We hope they serve as building blocks for creating your own happiness regimen. Many of us spend our lives rehashing the past or rushing into the future without pausing to enjoy the present. Distracted from the world around us, our life might feel only half-lived, as we’re too busy to savor—or even notice—everyday pleasures. Practicing mindfulness can help. Mindfulness helps us tune into what we’re sensing and experiencing in the present moment—it’s the ability to pay more careful attention to our thoughts, feelings, and bodily sensations, without judging them as good or bad. Research suggests that it can not only reduce stress but also increase our experience of positive emotions. One of the most basic and widely used methods for cultivating mindfulness is to focus your attention on each of your senses as you eat a raisin. This simple exercise is often used as an introduction to the practice of mindfulness. In addition to increasing mindfulness more generally, the raisin meditation can promote mindful eating and foster a healthier relationship with food. 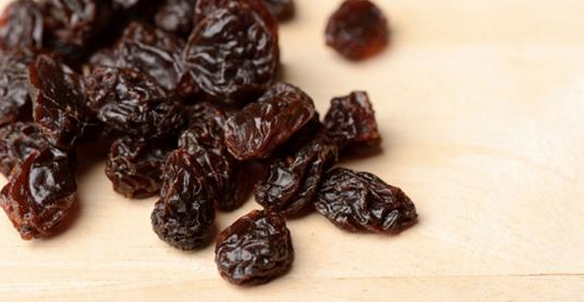 Try it with a single raisin—you might find that it’s the most delicious raisin you’ve ever eaten. Praissman, S. (2008). Mindfulness-based stress reduction: a literature review and clinician's guide. Journal of the American Academy of Nurse Practitioners, 20(4), 212-216. A review of research published between 2000 and 2006 concluded that the Mindfulness-Based Stress Reduction Program (MBSR), an eight-week training program that includes the raisin meditation described above, developed by Jon Kabat-Zinn at the University of Massachusetts Medical School, is an effective treatment for reducing the stress and anxiety that accompanies daily life and chronic illness. By increasing awareness of internal mental and physical states, mindfulness can help people gain a greater sense of control over their thoughts, feelings, and behavior in the present moment. Paying closer attention to the sensations of eating can increase our enjoyment of our food and deepen our appreciation for the opportunity to satisfy our hunger. Mindfulness can also help people become more attuned to hunger and fullness signals and therefore avoid overeating or “emotional eating.” In the words of mindfulness expert Jon Kabat-Zinn, "When we taste with attention, even the simplest foods provide a universe of sensory experience." It’s easy to feel bogged down by daily routines and mundane concerns, stifling our sense of creativity and wonder. Feeling awe can reawaken those feelings of inspiration. Awe is induced by experiences that challenge and expand our typical way of seeing the world, often because we sense that we’re in the presence of something greater than ourselves. Research suggests that experiencing awe improves people’s satisfaction with life, makes them feel like they have more time, makes them feel less self-conscious, and reduces their focus on trivial concerns. But in our everyday lives, we might not regularly encounter things that fill us with awe. That’s where this practice comes in. It’s a way to infuse your day with a dose of wonder even if you can’t make it to an inspiring vista or museum. Set aside four minutes to watch the video below. Put the video in full screen mode and try to give it your full attention. 1) They involve a sense of vastness that puts into perspective your own relatively small place in the world. This vastness could be either physical (e.g., a panoramic view from a mountaintop) or psychological (e.g., an exceptionally courageous or heroic act of conscience). 2) They alter the way you understand the world. For instance, they might make your everyday concerns seem less important, or they might expand your beliefs about the reaches of human potential. Rudd, M., Vohs, K.D., and Aaker, J. (2012). Awe expands people's perception of time, alters decision making, and enhances well-being. Psychological Science, 23(10), 1130-1136. In three experiments, participants were induced to feel awe—such as by watching an awe-inspiring video—as well as other emotions. People who experienced awe felt that they had more time available to themselves, were less impatient, were more willing to volunteer their time to help others, preferred having positive experiences over material products, and reported greater life satisfaction. Taking time out to experience awe can help people break up their routine and challenge themselves to think in new ways. Evoking feelings of awe may be especially helpful when people are feeling bogged down by day-to-day concerns. Research suggests that awe has a way of lifting people outside of their usual, more narrow sense of self and connecting them with something larger and more significant. This sense of broader connectedness and purpose can help relieve negative moods and improve happiness. In our daily lives, we don’t always notice or acknowledge the pleasant and positive things around us. We may be in a rush, distracted by other thoughts, or busy checking our phones. As a result, we miss opportunities for positive experiences and positive emotions—the building blocks of long-term happiness. Research suggests that we can maximize the benefits of the good things around us by consciously savoring them rather than letting them pass us by or taking them for granted. This exercise offers one basic way to start savoring the bounty of goodness around us—not by going to some exotic destination but by paying more careful attention to the sights, smells, and sounds we often neglect. Set aside 20 minutes to take a walk outside by yourself every day for a week. Try to stick to this schedule unless the weather is extremely bad. You can still do this exercise in a light rain—provided you have a decent umbrella and rain jacket. As you walk, try to notice as many positive things around you as you can. These can be sights, sounds, smells, or other sensations. For example, you could focus on the breathtaking height of a tree you never really noticed before, the intricate architecture of a building on your block, the dance of sunshine off a window or puddle, the smell of grass or flowers, or the way other people look our for each other as they navigate crowded streets. As you notice each of these positive things, acknowledge each one in your mind—don’t just let them slip past you. Pause for a moment as you hear or see each thing and make sure it registers with your conscious awareness, really take it in. Try to identify what it is about that thing that makes it pleasurable to you. Try to walk a different route each day so you don’t become too accustomed to any of these things and start to take them for granted. Bryant, F. & Veroff, J. (2007). Savoring: A new model of positive experience. Mahwah, NJ: Lawrence Erlbaum Associates. 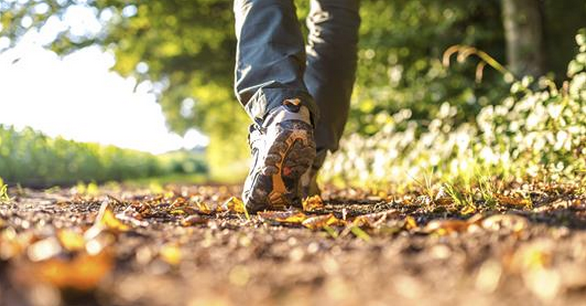 Participants who were encouraged to maintain a positive focus during daily walks for one week reported a greater increase in happiness at the end of the week, compared to participants who were encouraged to maintain a negative or neutral focus during their walks. Taking the time to “stop and smell the roses”—what researchers call “savoring”—can enhance happiness and boost feelings of appreciation and gratitude. Savoring helps us deepen the impact that positive events have on our emotional lives—rather than just slipping from our awareness, or failing to register in the first place, these events sink into our minds and stay with us long after they are over. By becoming more attuned to our surroundings, we may also be more likely to connect with the people around us, even if it’s just to share a smile. All couples experience conflict, but researchers have found that how partners deal with this conflict has major implications for the longevity of their relationship. In particular, leading couples researcher John Gottman and his colleagues have identified four specific behaviors, which they call the “four horsemen of the apocalypse, “ that spell doom for couples. To help you guard against these “four horsemen,” this exercise teaches you to recognize them and consider more constructive alternatives. Understanding the signs of these toxic behaviors is a vital step toward avoiding them and having a healthier response to conflict. 1. Read the descriptions of the “four horsemen” below and consider whether you and/or your partner ever engage in any of these behaviors during conflicts. 2. Read the descriptions of the constructive alternatives that can be used in place of the “four horsemen” and consider how you might put these behaviors into practice, if you have not already. 3. The next time you find yourself in a conflict with your partner, make an active effort to avoid the “four horsemen” and engage in more constructive behaviors instead. Don’t be too hard on yourself if you slip up—it can be challenging to stay focused during the heat of an argument, and these habits can take time to change. 4. After the conflict, make a note of how things went. Did you or your partner engage in any of the “four horsemen” behaviors, and if so, did you catch yourself and try to take a different approach during the conflict? What went well, and what could you improve for next time? 5. If/when you feel comfortable, you could invite your partner to participate with you in this practice. Constructive alternative: There’s nothing wrong with voicing concerns and complaints in a relationship, but try to do so in a way that focuses on your own feelings (and how your partner’s behavior affects you)—for instance, by making “I” statements, like “I feel lonely when you come home late for dinner”—and mentions specific negative behaviors rather than making global attacks on his or her entire personality (“I feel neglected when you make plans without me” rather than “You are so inconsiderate!”). See the Active Listening practice for more suggestions along these lines. 2. Contempt. Contempt is a more destructive form of criticism that involves treating your partner with disrespect, disgust, condescension, or ridicule. It may involve mean-spirited sarcasm, mockery, eye-rolling, sneering, or name-calling. Contempt can grow over time when a person focuses on the qualities they dislike in their partner and builds up these qualities in their mind. Constructive alternative: Instead of keeping score of all of your partner’s flaws, consider their positive qualities and the things you appreciate most about them. In fact, it may help to write a list of these qualities and return to it when you need a reminder. 3. Defensiveness. Defensiveness tends to arise when people feel criticized or attacked; it involves making excuses to avoid taking responsibility, or even deflecting blame onto your partner. If you hear yourself saying “I didn’t do anything wrong,” or blaming your partner for something else after he or she has leveled a complaint against you, ask yourself whether this is really the case. Even if your partner made some mistakes, that doesn’t free you from responsibility for things you could have done differently as well. The problem with defensiveness is that it communicates to your partner that you aren’t really listening to her or taking his concerns seriously. And by introducing new grievances, it can also exacerbate the conflict by making your partner feel attacked and defensive. Constructive alternative: Take the time to hear your partner out and take responsibility when appropriate. A simple, genuine apology can go a long way. 4. Stonewalling. Stonewalling involves putting up a (metaphorical) wall between you and your partner by withdrawing, shutting down, and physically and emotionally distancing yourself from your partner. An example of stonewalling is to give your partner the “silent treatment” or to abruptly leave without telling your partner where you’re going. Stonewalling can sometimes result when the first three “horsemen” accumulate and become overwhelming. Stonewalling is especially destructive to relationships because it can make one’s partner feel abandoned and rejected. Constructive alternative: If you need time out to take a few deep breaths and collect your thoughts, let your partner know, and then return to the conversation when you’re ready. This way, your partner will understand that you are taking care of yourself, not trying to reject him. Carrere, S., Buehlman, K.T., Coan, J.A., Gottman, J.M., Coan, J.A., and Ruckstuhl, L., (2000). Predicting Marital Stability and Divorce in Newlywed Couples, Journal of Family Psychology, 14(1), 42-58. A long-term study of 95 newlywed couples found that how they handled conflict between them in a single, brief interaction, recorded in a laboratory, predicted the stability of their relationship four to six years later with 87.5 percent accuracy, and seven to nine years later with 81 percent accuracy. Couples who displayed the “four horsemen” behaviors were significantly more likely to have broken up when the researchers followed up with them years later. Most couples experience conflict in their relationship from time to time, and although occasional conflict is not necessarily harmful to a relationship (some research suggests it can even be helpful), conflict can sometimes elicit destructive behaviors that undermine relationship satisfaction. Identifying destructive behaviors is an important first step toward reducing them and replacing them with more constructive behaviors, which can in turn improve communication and increase satisfaction. This process takes time and practice, and in some cases couples may benefit from seeking the support of a relationship counselor.